I have studied and tried quite many productivity tools and techniques, and have been also preaching about some of them to my friends and colleagues. But what has not necessarily been said is that these techniques and tools are ruthless, and can also make you feel bad – because they do expose your procrastination and bad habits. Even though I know it is good for me, I can’t — seriously — I can’t do it all the time, every time. But perhaps that is also the reason why I am not a professional athlete. What has worked wonders for me – has been time boxing with pomodoro method. It does not work for every potential type of task and work I need to do, but works wonders even in creative things where I need to get started and not just procrastinate the best potential choice. There are numerous different pomodoro tools and timers — and you can use even any type of timer to alarm you. 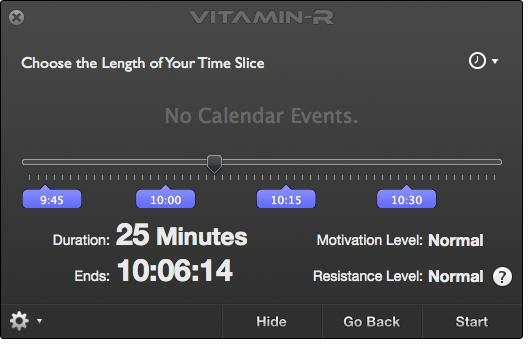 I’ve used on OS X a rather impressing software called Vitamin-R – which bundles a helpful features to a normal timer and planner. Like many other tools Vitamin-R forces you to focus on one task at a time. You define the length of the slice – and see whether you have something coming up in your calendar. 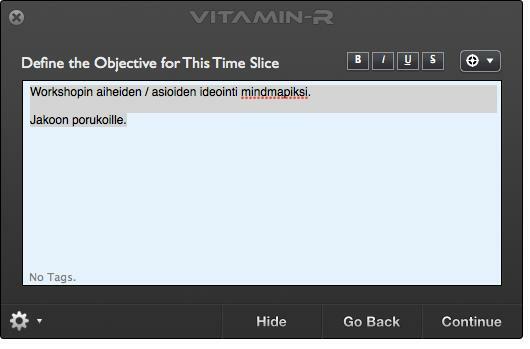 While running the time slice Vitamin-R reminds you about how much time is remaining. You can also request the program to read aloud your objective again. Great ideas and thoughts that are not relevant to the current task can be jotted down to scratch pads inside Vitamin-R.. And those pads can be raised to the front by keyboard shortcuts. One thing that really sets Vitamin-R apart from many other tools is statistics that it collects from your time slices, your motivation and focus. Statistics themselves are not helpful if you do not use them, if you use them – you can find when you are most productive, how you feel good and how you get most stuff done. Vitamin-R is not have task management features, but rather complements existing task managers. As I have worked mostly on OS X, my task manager of choice has been The HitList. HitList allows me to clear my mind of things to do and push them into lists, and then to process them one by one. Great feature has been also tagging tasks, this way I can find those tasks like blogging tasks even though they would be in different lists. 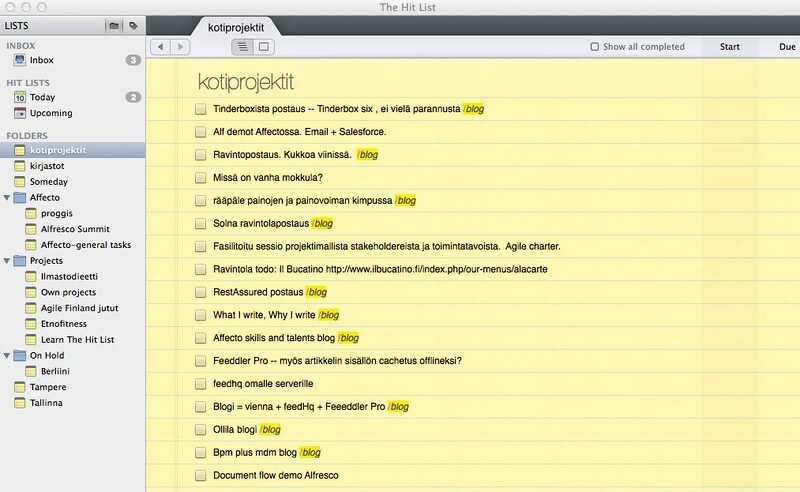 The HitList fills in the spot for GTD ( Getting Things Done ) tool. OneNote, Evernote or even a text file could do the same, these specialised tools just have some additional features and workflows that support you in what you are trying to do. Still from time to time I do my task lists in a text file, especially if I am working on linux box and programming something. Combined together The HitList and Vitamin-R form the productivity backbone for me — allowing me to try to manage my time with the techniques and ideas taken from pomodoro and GTD. And even though I still do many sessions with free form brainstorming and slacking off without a tight timebox, I have noticed these tools and techniques to help me enormously when I really need to get things done. But as said, these techniques are ruthless — and you need to rest also. After working with high focus and high motivation for a long time, you really do know that you have done something — even if it seems that everything you have done is been at the keyboard typing frivolously. What are yours? What is your secret sauce to be the best you can be? Somehow I have not written a note about this before. Maven site plugin can help you to publish your documentation — also if it is written in markdown. You just need to use doxia-module-markdown module and configure it to be used with the site. You can add also PlantUML plugin into pom and transform your PlantUML drawings into PNG and written into site’s output directory. However if you want to get the site built during the normal phases instead running mvn site — and for example package the site into a web application, you need to command both PlantUML and site plugins to run during the compile phase. Executions tag is just the perfect way to do that. 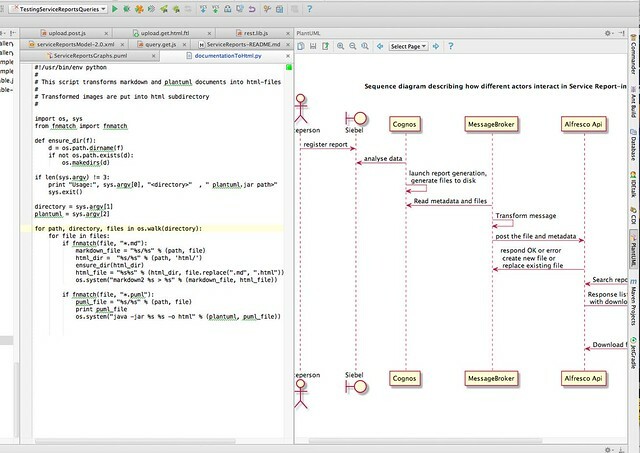 PlantUML plugin can be run with the following configuration added to plugin configuration. 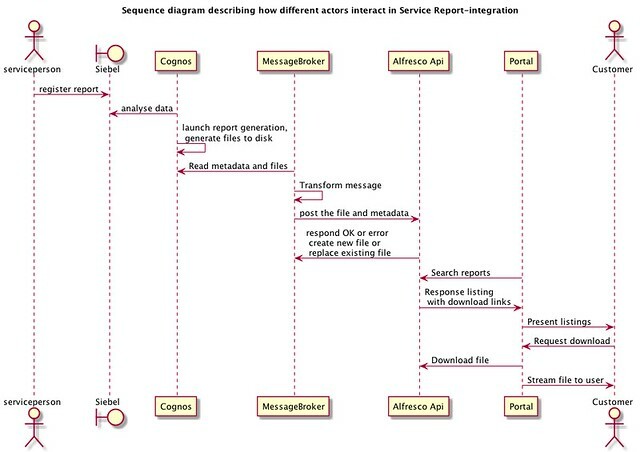 In the above case we are directing the output to a web application’s directory to be packaged into the application. This way we are able to build and package a web application in singe stroke — and include also related documentation with it.